Home » People » Faculty » Finn, John T.
Dr. Finn is the department’s systems ecologist. He received his Ph.D. from the School of Ecology at the University of Georgia, did a post-doc at the Ecosystems Center, Marine Biological Laboratory, Woods Hole, MA, and trained in satellite remote sensing at the Goddard Space Flight Center of NASA. 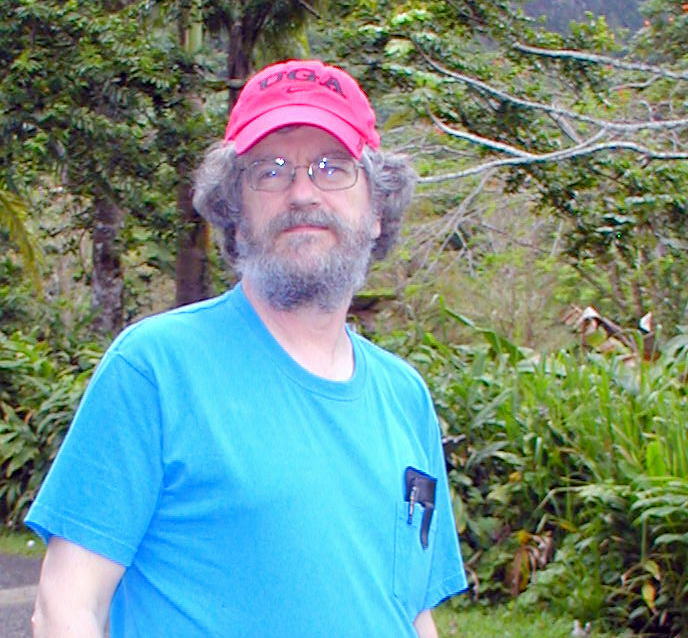 His interests include development of modeling and analysis techniques, statistical methods for ecological data, GIS, remote sensing and application of modeling and theory to environmental assessment and resource management. Walter Jaslanek, Ph.D. (co-advisor with Charlie Schweik). A GIS Framework for Analysis of the Effects of Offshore Wind Energy Development on a Tern Colony in the Gulf of Maine. LP Griffin, JW Brownscombe, AJ Adams, RE Boucek, JT Finn, Michael R Heithaus, Jennifer S Rehage, Steven J Cooke, Andy J Danylchuk. 2018. Keeping up with the Silver King: Using cooperative acoustic telemetry networks to quantify the movements of Atlantic tarpon (Megalops atlanticus) in the coastal waters of the Southeastern United States. Fisheries Research 205, 65-76. Tyler Cross, John T Finn, Bethany A Bradley. 2017. Frequency of invasive plant occurrence is not a suitable proxy for abundance in the Northeast United States. Ecosphere 8 (5). Becker, S.L., Finn, J.T., Danylchuk, A.J., Pollock, C.G., Hillis-Starr, Z., Lundgren, I. and Jordaan, A., 2016. Influence of detection history and analytic tools on quantifying spatial ecology of a predatory fish in a marine protected area. Marine Ecology Progress Series, 562, pp.147-161. Harper, R.W., Autio, W.R., Finn, J.T. and Rossi, F.S., 2016. Tree Wardens and public grounds management in North America: Overseeding athletic fields with perennial ryegrass to promote safe playing surface. Arboricultural Journal, pp.1-13. Fusco, E.J., Abatzoglou, J.T., Balch, J.K., Finn, J.T. and Bradley, B.A., 2016. Quantifying the human influence on fire ignition across the western USA. Ecological applications, 26(8), pp.2390-2401. Mazzarino, M. and Finn, J.T., 2016. An NDVI analysis of vegetation trends in an Andean watershed. Wetlands Ecology and Management, 24(6), pp.623-640. Kennedy, C.G., Mather, M.E., Smith, J.M., Finn, J.T. and Deegan, L.A., 2016. Discontinuities concentrate mobile predators: quantifying organism–environment interactions at a seascape scale. Ecosphere, 7(2). Kane, B. and Finn, J.T., 2014. Factors affecting branch failures in open-grown trees during a snowstorm in Massachusetts, USA. SpringerPlus, 3(1), p.720. Starr, J., Schweik, C.M., Bush, N., Fletcher, L., Finn, J., Fish, J. and Bargeron, C.T., 2014. Lights, camera… citizen science: assessing the effectiveness of smartphone-based video training in invasive plant identification. PloS one, 9(11), p.e111433. Vieira, R., Finn, J.T. and Bradley, B.A., 2014. How does the landscape context of occurrence data influence models of invasion risk? A comparison of independent datasets in Massachusetts, USA. Landscape ecology, 29(9), pp.1601-1612. Finn, J.T., Brownscombe, J.W., Haak, C.R., Cooke, S.J., Cormier, R., Gagne, T. and Danylchuk, A.J., 2014. Applying network methods to acoustic telemetry data: modeling the movements of tropical marine fishes. Ecological Modelling, 293, pp.139-149. Matthews, S.M., Higley, J.M., Finn, J.T., Rennie, K.M., Thompson, C.M., Purcell, K.L., Sweitzer, R.A., Haire, S.L., Sievert, P.R. and Fuller, T.K., 2013. An evaluation of a weaning index for wild fishers (Pekania [Martes] pennanti) in California. Journal of Mammalogy, 94(5), pp.1161-1168. Mather, M., J.T. Finn, C.G. Kennedy, L.A. Deegan, and J.M. Smith. 2013. What happens in an estuary doesn’t stay there: Patterns of biotic connectivity resulting from long term ecological research. Oceanography 26(3):168–179, http://dx.doi.org/10.5670/oceanog.2013.60. Wilkie, D.S. and Finn, J.T., 1996. Remote sensing imagery for natural resources monitoring: a guide for first-time users. Columbia University Press. Barber, M.C., Patten, B.C. and Finn, J.T., 1979. Review and evaluation of input-output flow analysis for ecological applications. Compartmental Analysis of Ecosystem Models. International Co-operative Publishing House, Fairland, MD, pp.43-72. Patten, B.C., Bosserman, R.W., Finn, J.T. and Cale, W.G., 1976. Propagation of cause in ecosystems. Systems analysis and simulation in ecology, 4, pp.457-579.